Just because it's spring doesn't mean you have to stop using your winter products. It's gradually getting warmer but there are some days when it's still super cold! I've found that several skincare products I use during winter months still work well for me in the spring season. One of the major problems I have in cold weather is chapped lips. I find myself resorting to lip masks, chapstick, lip scrubs and balms. Now there's a new product that I can add to my lip care routine, especially right before I'm about to apply my lipstick. 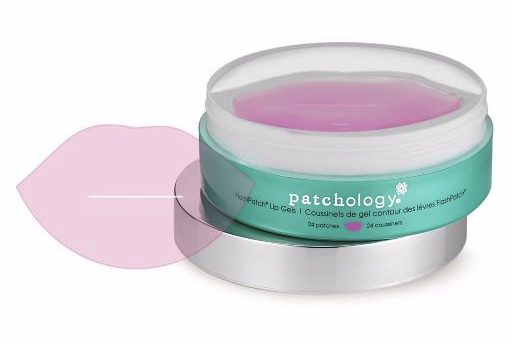 Patchology FlashPatch™ Lip Gels ($50) soften and smooth out lips - all you do is place the lip gel on clean lips for 5 minutes and then discard it and off you go! The hydrogel FlashPatch™ formula + HydraSurge5™ Moisture System (with 5 proven maximum hydration ingredients) provides deep hydration and lip revitalization that topical lip treatments can't do. The lip gels are cooling, refreshing and translucent, formulated with Niacinamide, Peptides and Green Tea Extract. They can be used anytime your lips need a boost, either before you apply makeup or at night, before you go out or right before you go to sleep. The lip gels (24 patches total) are also perfect for travel, as I just threw them in my tote bag when I went to Las Vegas in January. skyn ICELAND's Winter Rehab Kit is perfect for combating cold weather and dehydration, but I've been using it right into spring. My skin gets dry and irritated in the winter, but in the spring my nose gets dry and my face gets blotchy due to allergies, so these products continue to help. The Winter Rehab Kit is no longer available, but these items can be purchased individually. 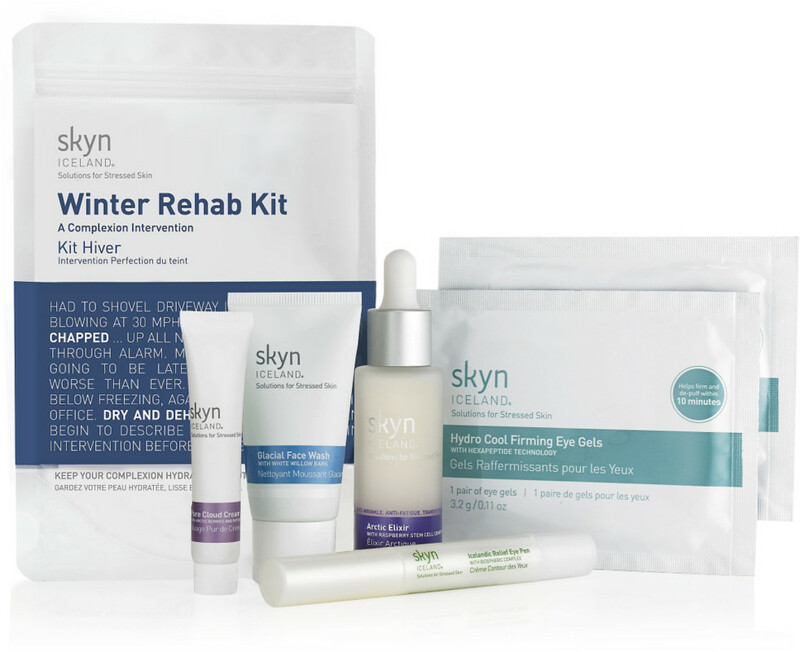 Check out the current skyn ICELAND kits available: Detox Kit for Stressed Skin, Icelandic Relief Eye Cream & Face lift-in-a-bag, Saving Face Kit, and Skin Hangover Kit. - Glacial Face Wash with white pillow bark - creamy foam cleanser to refresh, soothe and purify stressed skin. - Arctic Elixir with raspberry stem cell complex to combat stress-induced signs of aging and retexturize skin in as little as three weeks. Apply morning and night right before applying a moisturizer. - Pure Cloud Cream with arctic berries and peptides - Light-as-air moisturizer. This size is perfect for keeping in my bag or in my office drawer. - Hydro Cool Firming Eye Gels - I use these regularly, no matter what season it is and it's easy to travel with. These under-eye gel patches help firm, tone and de-puff under-eye skin. You leave them on for just 10 minutes - while you are styling your hair, watching TV, or on a plane. The eye gels immediately feel more awake and refreshed. - Icelandic Relief Pen with biospheric complex - a lightweight eye cream in a portable pen that minimizes puffiness, wrinkles and dark circles.